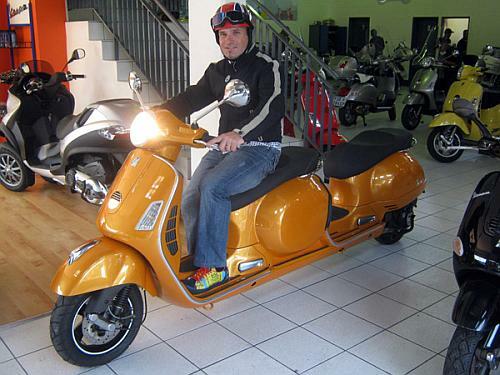 Being the world’s fourth largest two wheeler manufacturing company and deriving its name from an wasp in Latin and Italian, Vespa has come a long way from its first 1946 model of 98cc to creating one of the stylish and bestperformance with looks scooters and this time they have stunned the world by making this Stretch Vespa 4 seater one of a kind bike which no one would have dreamt of. 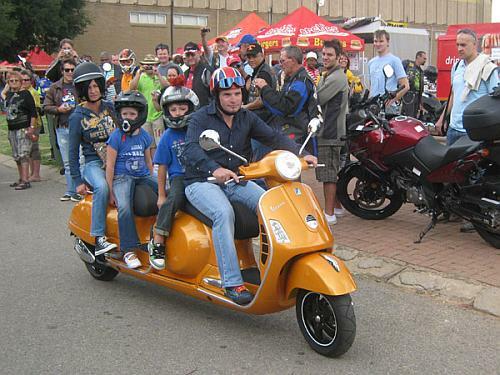 Here is the Vespa South Africa’s Stretch Scooter which has stretched beyond everyone’s imagination. This one is the perfect family ride for those who have some financial problem but want to own a vehicle which will not only provide them the attraction of the crowd but will give their family a comfortable and wonderful ride. This has made stretch limousine go out of fashion because I bet that if this stretch scooter and a limousines are standing beside each other, people will surely have their eyes glued on this beyond imaginary scooter which is better than a family car. 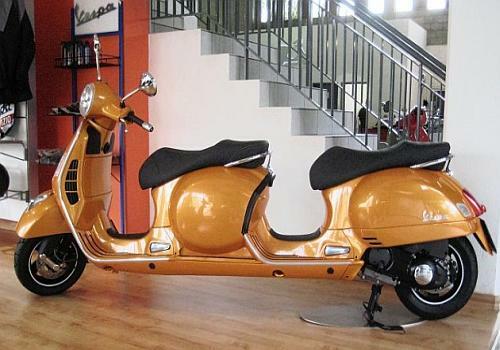 I hope that the middle portion too is that much of strong to carry a big fat man in between but apart from that, this is one desirable scooty which no one can resist but sadly Vespa has no plans of offering this one for sale as just using it for promotional purpose even though its fully functional machine but who knows, anything can happen in future, just hope for the best. You can see some more such interesting product as Pacman Car or you also like the Car with Gullwing doors .